Based on our research of great hiking trails in Glacier National Park, we had originally planned on spending a day hiking the Highline Trail and taking a ranger-guided hike to Grinnell Glacier on our second day in the park. Unfortunately we found out when we got to Glacier that both trails were still closed due to snow. Thanks to Ranger Yvette’s suggestions for alternate hikes we were able to enjoy a wonderful stay in the park – this is why asking a ranger for hiking ideas is almost always the first thing we do in the visitor center. Note – We have consumed huckleberries in the following forms: ice cream, shake, pie, syrup, cream soda, liquorice, and beer. 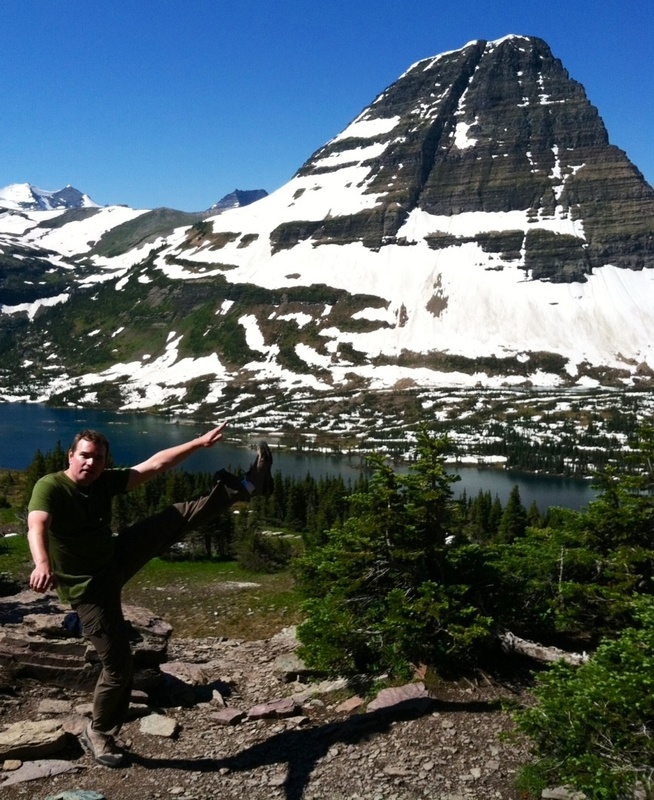 This entry was posted in High Kick Photos and tagged Glacier National Park, High Kick, hiking. Bookmark the permalink. Hey, my huckleberry friends…what is your FAVORITE form of huckleberry?! Saw your bumper sticker at Many Glacier Hotel. Cool site. I was also bummed about the highline and grinnel trail closures. Anyways- cool journey you’re on. I’d love to hear more about it. Thanks for checking us out. Hope you enjoyed Glacier as much as we did!